Is it possible to find inexpensive health insurance with good coverage? Home / FAQ / Is it possible to find inexpensive health insurance with good coverage? Yes, it is possible to find inexpensive health insurance with good coverage. The best way to find affordable health insurance at a great rate is simply by shopping around. There are many providers out there and you never really know who is willing to give the best rate until you look. Compare some of these health insurance providers now with side-by-side health insurance quotes. Just enter your zip code to start now! It is a great idea to do as much research as possible before ultimately deciding which provider to go with. Health insurance coverage is a very important decision after all and can be the difference between life and death. Websites, as the one offered by the U.S. Department of Health and Human Services are always a great source of information. What is the first step to finding affordable health insurance coverage? The first step to finding good health insurance coverage is to understand what type of coverage you actually need. There are many different forms of health insurance. The three well-known types of health insurance coverage are PPOs, HMOs, and HSAs. PPOs tend to be more popular with policyholders, but also a little more expensive. The reason a PPO plan is more popular is that they allow the policyholder to go to whichever doctor or hospital they choose. Most people are intimidated by doctors, so it can take a long time to open up and be completely honest with them. Once a bond of trust is formed, people like to stay with that doctor as long as possible. An HMO might not let you stay with the doctor you have grown to trust. 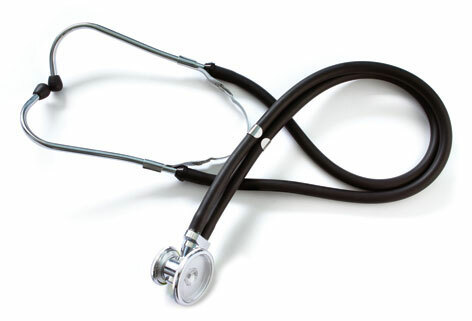 A person that has an HMO plan is limited to which doctors and hospitals they can use. Each HMO has their own special network with a list of approved doctors and medical institutions in which their policyholders are approved. If the policyholder goes to a doctor or hospital that is not on the approved network list, the health insurance provider will not cover their incurred medical costs. An HSA is a Health Savings Account. This is a very different form of health insurance plan. An HSA combines a savings account and a health insurance plan. The savings account is not taxed and the health insurance plan has low monthly payments because it has a higher than average deductible. This type of health insurance plan can be very affordable. What is the second step to finding affordable health insurance coverage? Do you need coverage just for yourself or do you have a spouse that also needs to be covered? Do you have any children that need to be included as dependents on your health insurance policy as well? These factors ultimately affect how much you will pay each month for health insurance coverage. When people worry about being critically injured and the effect that type of situation would have on their finances they often only think about the actual medical costs. Many people do not consider the costs that they will incur that technically have nothing to do with their medical care. A supplemental policy such as critical care and recovery insurance often pays money directly to the policyholder so they can use it to pay for their medical costs of these types of unexpected costs. What is the third step to finding affordable health insurance coverage? The last thing that you should do to find the most affordable coverage possible is to compare the health insurance rates of many different health insurance companies. Never accept the first quote you are offered just because you want to hurry and get things done. Spending a little extra time comparing quotes can save you a lot of money in the end. You can compare health insurance quotes now by just typing in your zip code!